You can always rely on the month of October to bring along with it a slew of horror films to movie theaters, TV screens and your favorite streaming platform. 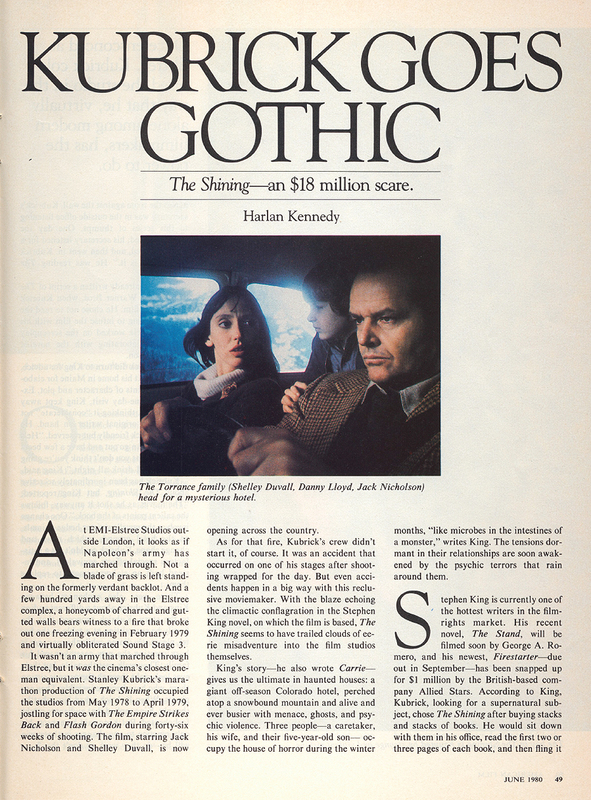 One popular (and well-deserved) movie we tend to come across more often is THE SHINING (1980), which slots in at #29 on our list of the most thrilling American films. 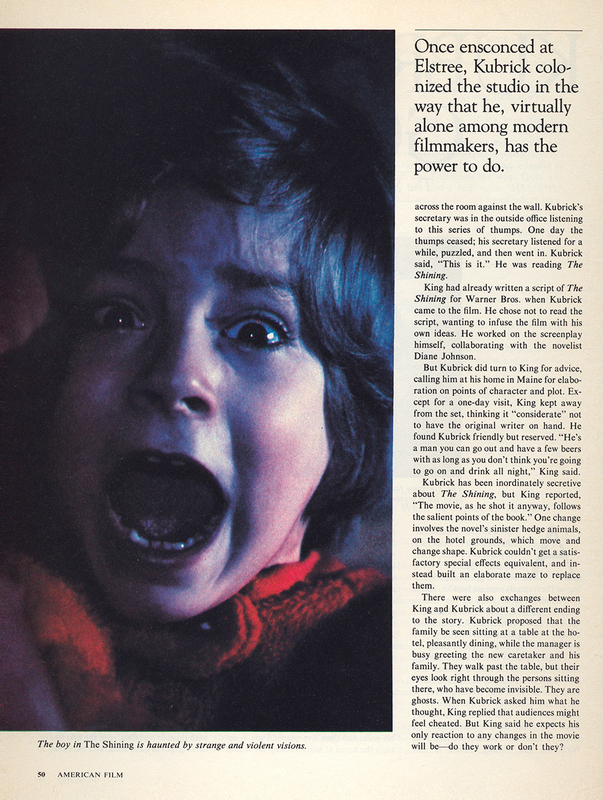 The Stanley Kubrick classic was adapted from Stephen King's acclaimed book of the same name. 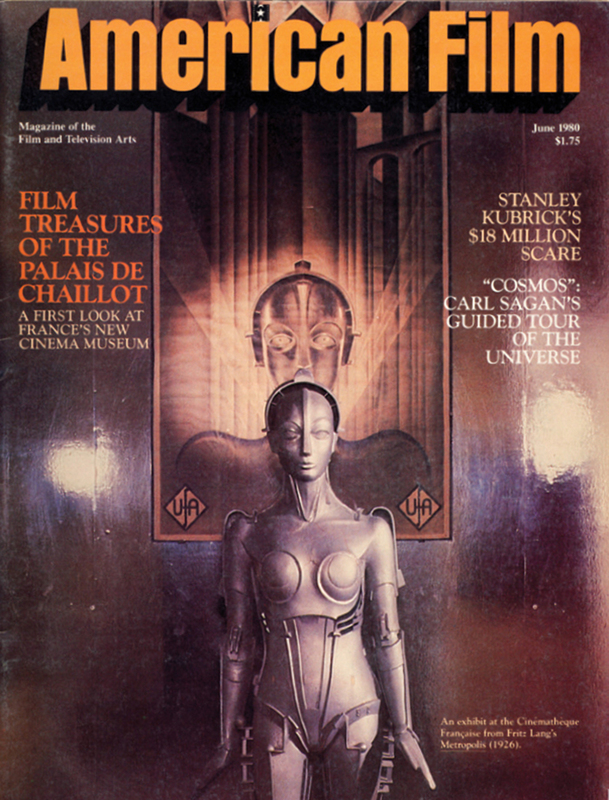 The below piece from a 1980 issue of American Film™ magazine chronicles the making of the film. 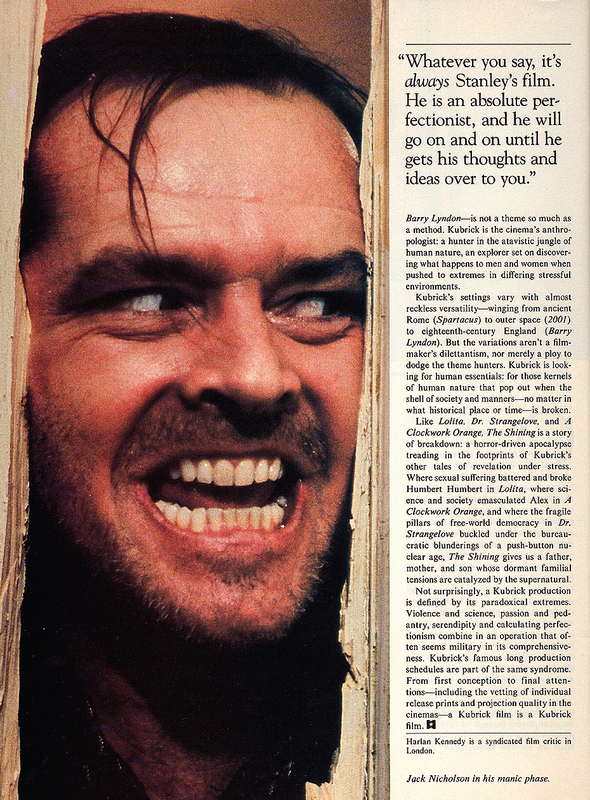 We learn about Kubrick's process for selecting which book to adapt for his next project (hint: it involves an endless hurling of books) to the nearly year-long production schedule, a timeline which itself seems frighteningly lengthy. 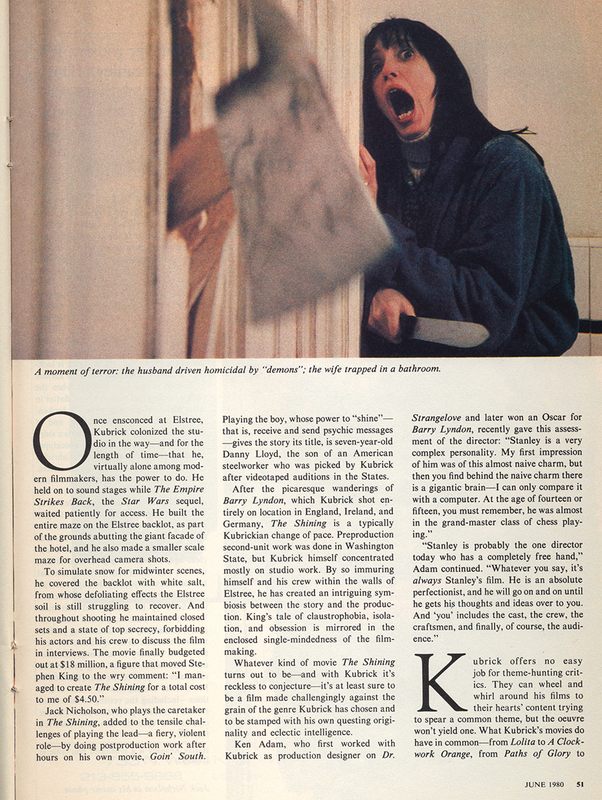 It's a fascinating look into the brilliance that went into the creation of a classic horror that can give you a chill no matter which season you watch it.